This beautiful woman came to our office with two missing canine (eye) teeth. 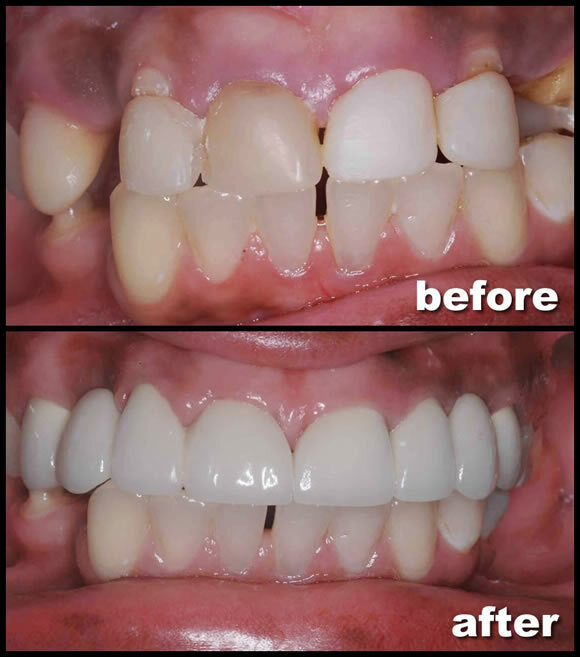 She also had discolored front incisors and aging bonded teeth. She was ashamed of her smile and it truly affected how she felt about herself. When she talked she held her hand over her mouth. We replaced her missing teeth with beautiful porcelain bridges to restored her beautiful smile. When we handed her a mirror after placing the bridges she began to cry. Her whole demeanor changed. Her confidence and self esteem grew instantly. Her new smile now matches the beautiful person she is.